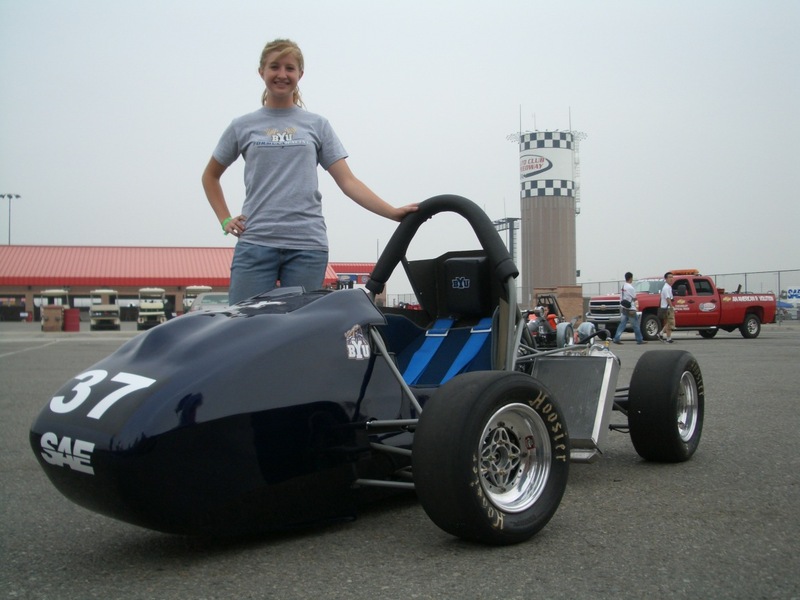 Formula SAE is a collegiate competition in which engineering students design and build a formula-style race car. At the competition, cars are judged in several categories, including design, cost, and business feasibility. 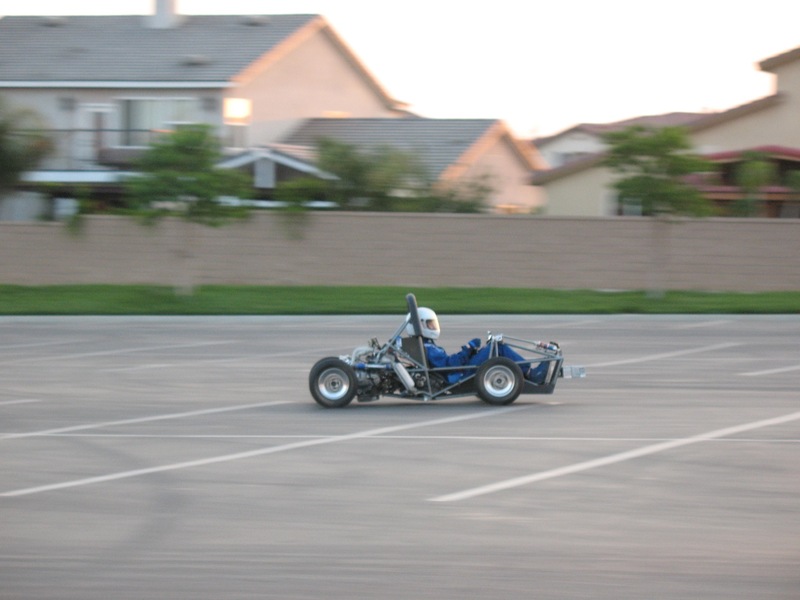 Then the cars, driven by the students, are judged on performance on select courses: acceleration, skidpad, endurance, and autocross. 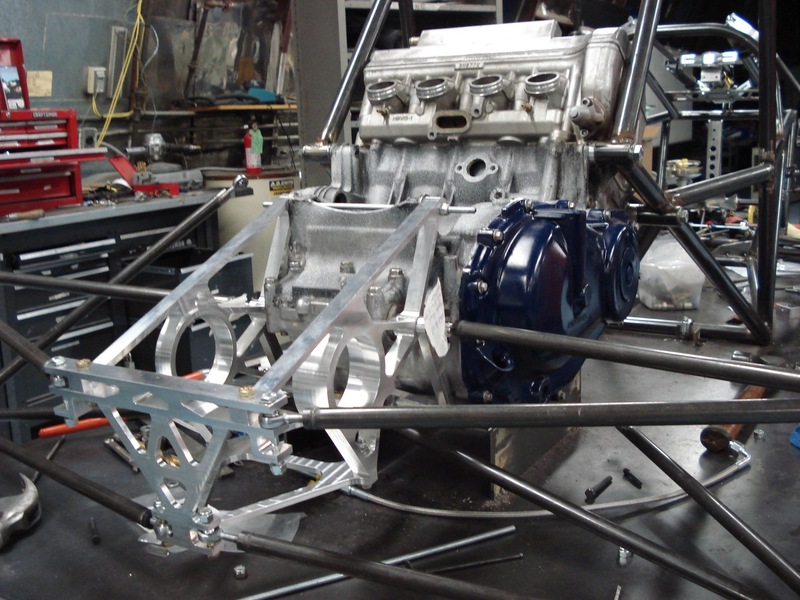 As part of the 2008 BYU Formula SAE team, I was responsible for the drivetrain: the differential, the half-shafts and joints, and the rear frame which supports all the other elements as well as the suspension. 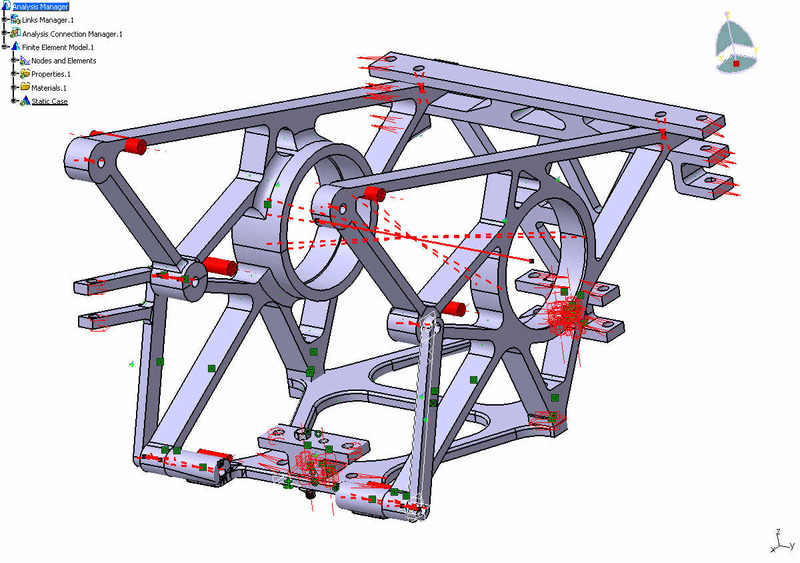 Our design was innovative in that instead of CV joints, we used flex plates – an entirely unprecedented approach. These lightweight steel plates, (blue ring in photo below), save an enormous amount of weight (10+ lbs) and still allow the needed motion in the rear suspension. This project took an entire year, and was undertaken in addition to regular senior classes. 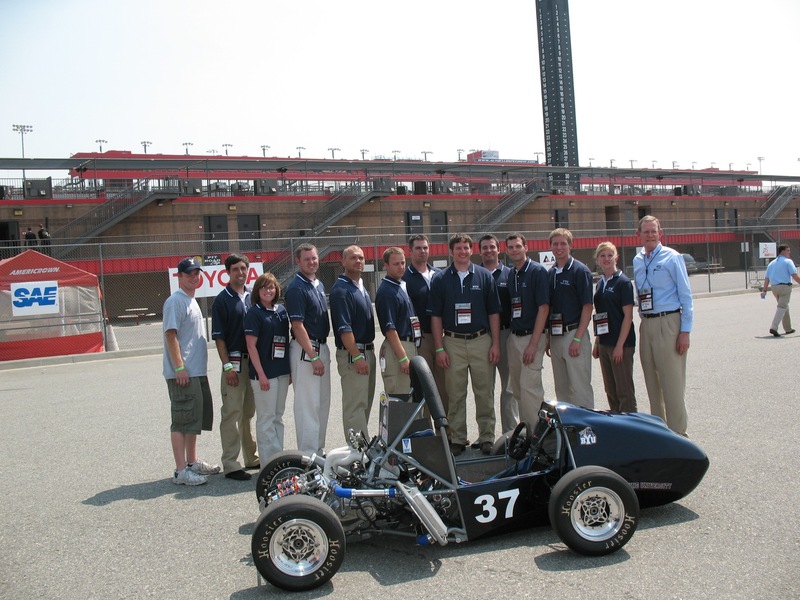 The 2008 competition we attended was held at the Auto Club Speedway in Fontana, CA. Our team won 6th place in the design competition.